Color coated chain link systems are the natural choice for projects that require the aesthetically pleasing benefits of color, and the dependable security of chain link. Available in three environmentally-inspired colors – brown, green and black – color coated chain link systems blend naturally with the environment and allow the beauty of the landscape and architecture to show through. The color coating is applied to the wire in one of three ways, Extruded (Good), Extruded & Adhered (Better) or Fused & Adhered (Best), and each method begins with a galvanized steel core wire. This process provides a double coating of protection and assures years of maintenance free performance. 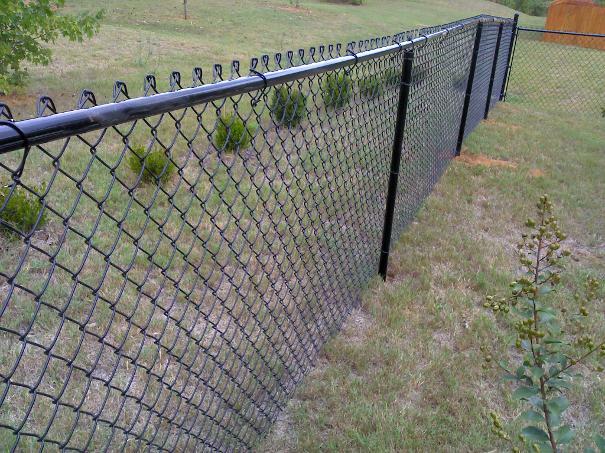 Visit our chain link fence gallery for pictures of our work.